The M. Toulouse Annice +4 Platinum Close Contact Saddle with Genesis System is a slightly wide, medium deep seat with a medium twist which offers security, yet keeps close contact with the horse. Available with the Genesis Adjustable Tree, the double leather flaps provide excellent grip and support, and removeable front and rear blocks offer the adjustability to each riders comfort. Full grain leather reinforcement at the bottom of the flap helps protect against wear. The Annice +4 Flap is 4cm more forward compared to the original Annice Saddle., accommodating a longer leg in a jumping position. Soft Touch panels, made with pure soft latex rubber and genuine wool flocking, allows the panels to mold to the horse's back. The innovative Genesis adjustable gullet system allows a single saddle to custom fit all of your horses safely and dependably because the Genesis provides you with every saddle width needed. 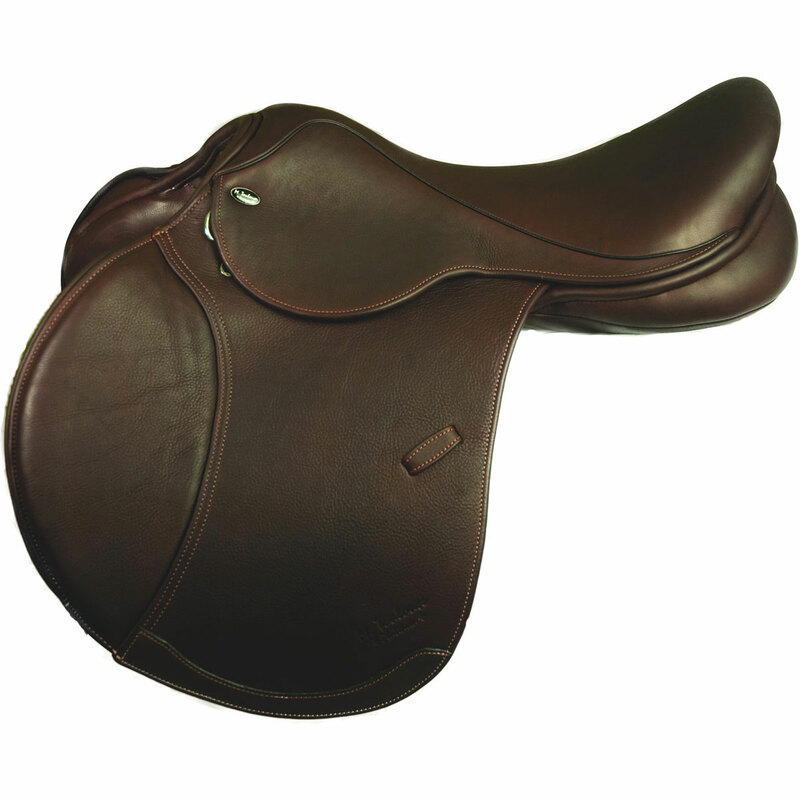 M. Toulouse Annice +4 Platinum Close Contact Saddle with Genesis System is rated 5.0 out of 5 by 1. Rated 5 out of 5 by joanhall from So comfortable and fits great I purchased a few weeks ago in the hopes it would fit my horse as an extra I planned to adopt a mustang in the next few weeks and gambled the adjustable feature would fit most horses. It is perfect for both horses!! I can sit in it for a two hour ride no problem. Just like my dressage saddle. I love it and recommend it to anyone looking for an all purpose saddle. I am 5 ft 6 inches and bought the 16.5 seat. it is dreamy. most important to me is comfort for long rides. it definitely was a good investment.